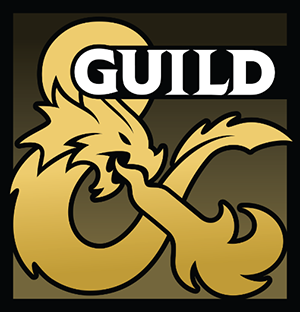 Due to a recent (and now taken down) job posting for a Dungeons & Dragons designer job that required an applicant have three published products, I’ve had many folks ask me for advice about publishing content on the DMs Guild. Publishing a product is super rewarding, but it takes a lot of time and it can be difficult to know how to start. I have several products on the guild and my beginner products look like beginner products because I had no idea what I was doing when I started out. The blunders I’ve made have given me a tiny bit of wisdom that a few folks have asked for, so I thought I’d share that wisdom here. You need to have something to write about on the DMs Guild. First and foremost, you should create a product that YOU want to see in the world and would use yourself. Don’t worry too much about creating something other people will love. If you don’t love it, you won’t enjoy creating the product and it’s going to show in your work, because it will become more important for you to get the product done rather than getting it done right. If you love it and put in the work to make it great, other people will love it too. If you’re unsure about where to start, start small. Don’t jump right into that epic 200-page adventure or new campaign world that’s brewing in your brain. If you’ve never designed anything for fifth edition D&D, a few backgrounds, a collection of magic items, or a two-hour adventure are great products for getting your feet wet with the DMs Guild. Before putting pen to page, do a little research. First get familiar with the official D&D hardcover products published by Wizards of the Coast. The background you want to create may already exist in the Sword Coast Adventurer’s Guide or the magic item you’re building may already exist in the Dungeon Master’s Guide. You don’t want to recreate something Wizards of the Coast has already done, since it likely won’t get a lot of attention on the guild. Only create something that’s already been made by Wizards of the Coast if you feel you cannot help but create the product. Then you should search the DMs Guild to see if anyone has created the product you want to make. Even if someone has created what you’re planning on making, that shouldn’t be a deal breaker. How well did their product sell and how are its ratings? If it’s a very popular product, like Matt Mercer’s gunslinger subclass, you may want to consider creating something else, given that the market is already cornered, but again if you MUST create something popular that’s been done before and have no other ideas, then do it. Even if you knew those things, read up and keep a book handy. The closer your writing is to the D&D style, the better. Consumers often prefer their writing to be in the style of the game, and as a bonus this is one of the things Wizards of the Coast will look for as they examine your product. Once you’ve done your research, outline your idea. Outlines help you visualizes the product before it comes into being and prevent writer’s block because you have a road map of where you’re going. It’s writing time! Make a commitment to get a certain amount of writing done each week and hold yourself to that like it’s a paying job (because it is). Even if it’s just 500 words a week, find the time to make it happen and you’ll have a rough draft of a 2,000-word adventure by the end of the month! Remember to keep a few official D&D products within reach so you can reference your style! That’s also important for the next step. I’ve quoted James Haeck, editor and game designer, here before and I shall again, “Once you’ve got all the words on the page, you’ve only got the sand. Editing is shaping that sand into a castle.” Editing is so very important to your process. Sure, you’re finding typos, but take the time to refine your product as well. Cut unnecessary words, rearrange sections that don’t make sense, and change your story and mechanics where you feel it is necessary. Set yourself a word goal for editing, just like you should with writing to make sure it only takes another month to edit that 2,000-word adventure. Once you’re happy with the product, share it with someone you trust to give you good, honest feedback. Even if you’re sure it’s perfect, another set of eyes can catch things that are missing or assumptions you’ve made that leave the reader saying, “What?” You may not need someone to check every single draft, but for your first project and first draft, ask a friend to check it out. As designer Dan Dillon says, “Playtesting is worth its weight in gold.” He’s right. When you actually play with your new rules or story, you see them in action and find out where your mechanical mistakes are. “Oops! This encounter is clearly too hard,” and “Oh! This new spell combined with this magic item makes you invincible,” are errors that can sometimes only be learned through playtesting. If you can have someone else run your product and give you a detailed playtest report, that’s even better. It has all the benefits of playtesting something yourself along with a person who doesn’t have any of your assumptions using the product. Finding art (including maps and a cover) is a whole blog post unto itself. Here it is. For many of us, art and layout are the most daunting part of the process. Do we need to learn new software like Adobe InDesign? How do we know what looks good? Luckily for us, the DMs Guild provides a free template for creators with fonts and all. All you need is Microsoft Word and you’re good to go. The template uses Word’s styles, so if you’re unfamiliar with them, read this guide. Don’t worry! They’re very intuitive. Keep those Wizards of the Coast D&D books close as you do layout and see if you can match a similar style. It’s time to decide on a price for your product. All your time and energy is worth something! I recommend not selling your products for free or pay what you want (even though I have done that for many of mine). Wizards of the Coast takes products with an actual price attached more seriously. If you need help pricing look at the prices of products similar to yours that have sold well and consult this handy blog post from the good people at OneBookShelf, the company that runs the DMs Guild. Once your product goes live, don’t let it just sit there. Promote it! Shout it out on social media using #DnD and find Facebook groups, Google+ communities, subreddits, and forums that allow you to promote you work (and be sure to post with the proper headings and tags). Ask your friends to do the same! Send complimentary copies through the DMs Guild to people and ask them to promote it. The more you shout about your product, the more folks will hear about it. Great stuff, James. Curious – do you know if the entirety of the D&D 5e source material is up for grabs in terms of what you can use/write about? Where might one read up on what’s allowed/what’s not? Thanks in advance!